Planking? In the O.R.? No way! For those of you not familiar with Planking it is basically a new fad raging across the internet where people take pictures of themselves laying face down, legs straight and arms by their side. It’s silly, it’s random and it’s actually really entertaining! 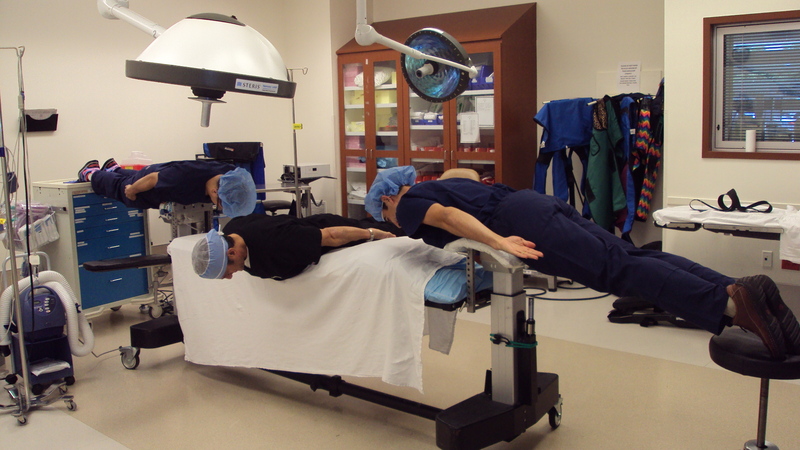 Well we were able to get a couple of our physicians on board with planking in the Operating Room! Of course this was only done after the doctors were all finished with their surgeries for the day. Spine surgery is a serious thing so it’s nice to see the doctors getting to be goofy and willing to take some silly pictures! Have you ever planked? 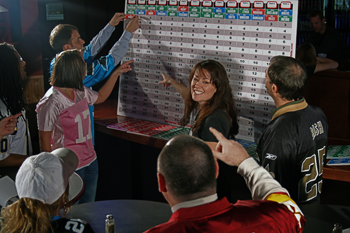 Feel free to share your story here or on our FB page. But remember always be safe when you plank! Drs. Bosita and Lieberman from Texas Back Institute and Dr. Barrington from The Center for Joint Replacement. Drs. 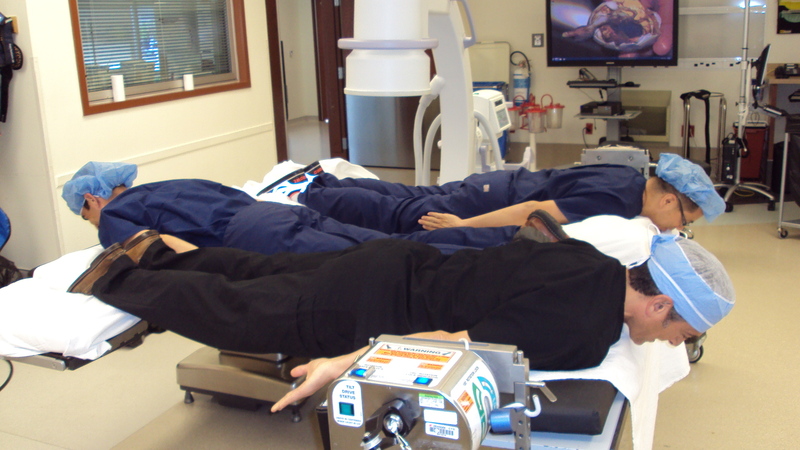 Lieberman and Hyder on the surgical bed and Dr. Bosita on the ground. We lovingly call this one “code blue, one doctor down” plank. 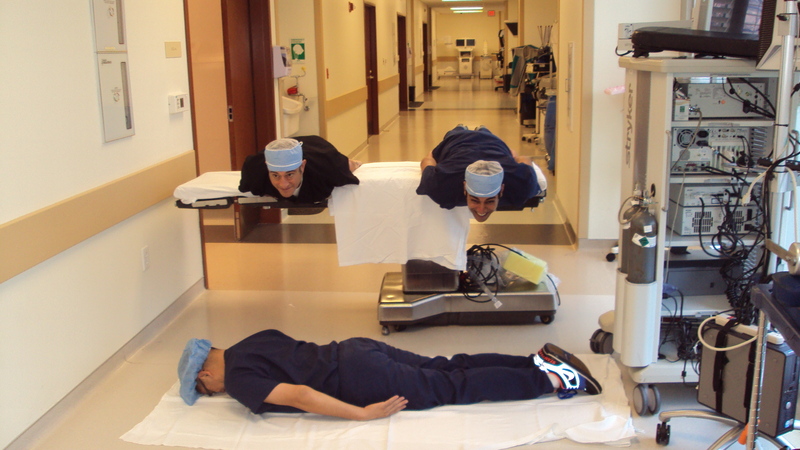 Thanks to the doctors for taking some time out to indulge in some planking exercises!